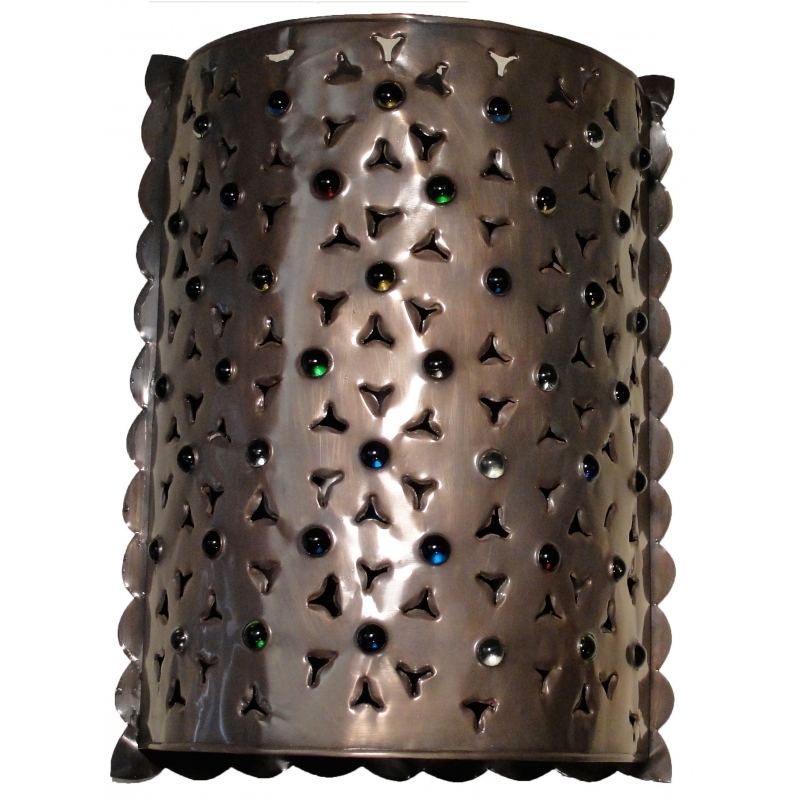 Punched tin wall lighting fixture with colorful marbles, all our tin lights are hand craft by artisans in Mexico. We offer you two heights sconces please see options below. Optional Wiring select if you want it. 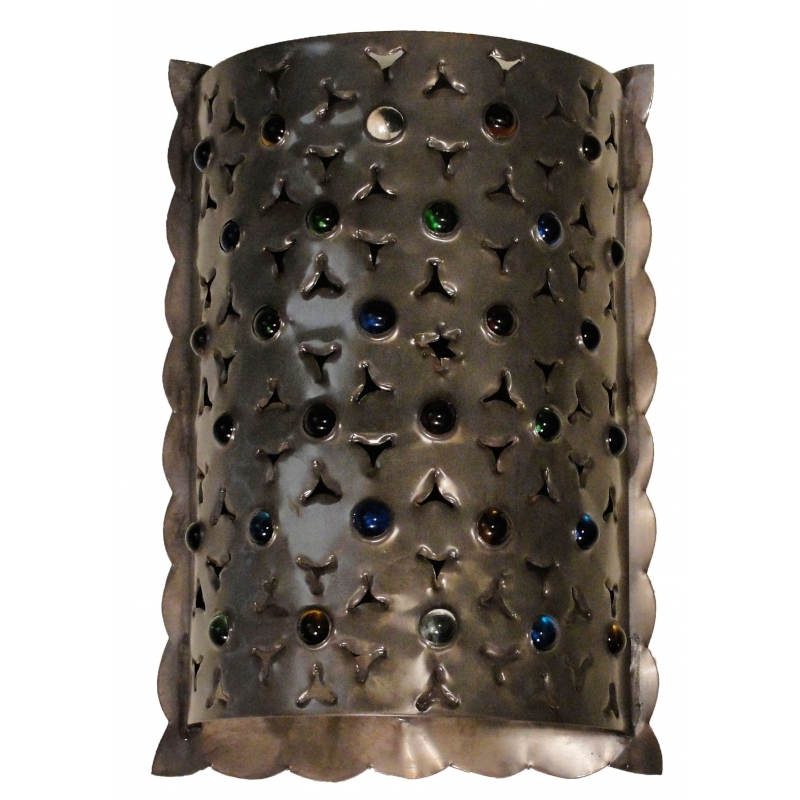 Incorporate dramatic southwestern lighting in any entry way or hall of your home with these Mexican tin wall sconces! They feature unique stenciled designs and colorful marbles for a dramatic lighting effect and have an open top and bottom for plenty of light. Pick up a set and complete your rustic decor! Available in two different heights below. Since each rustic tin fixture is hand crafted, color and finish may vary slightly from what’s pictured here.